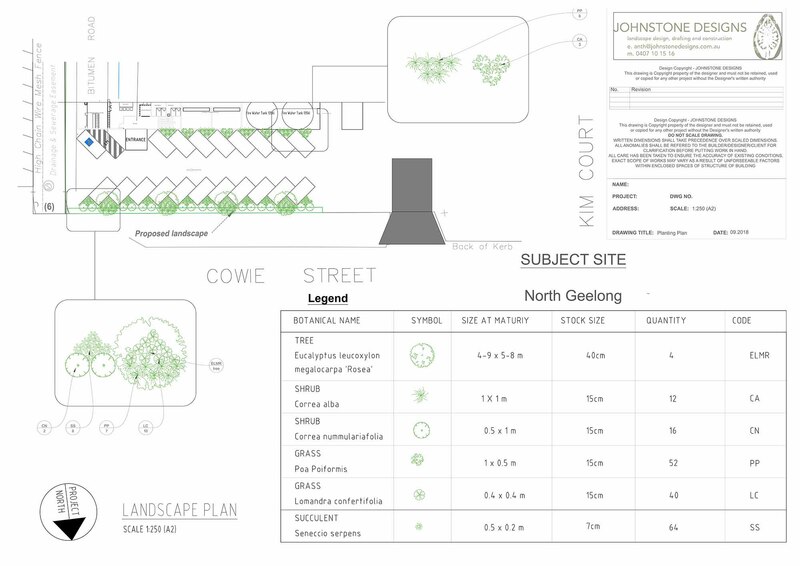 Our team can create a complete Landscape Plan for Council submission. This includes the design phases Concept Plan and Planting Plan. The included planting plan will detail the specific location, botanical name, common name, size at maturity and quantity of each plant species specified for your project. Includes all necessary documentation for council application.